Through the generous support of donations from our global sangat, SDI was able to raise over 11K for food and supplies for communities affected by the current starvation crisis in Venezuela. Each dollar raised bought a kg of rice and beans, or needed medical supplies and clothes for those in dire need. Through the tireless efforts and seva of our on-the-ground friends, we have been able to support a local hospital and the surrounding community with homemade meals, diapers, medical supplies, blankets and clothes. This slideshow shares a glimpse of the results of this collective effort to give support to our beloved sisters and brothers in Venezuela. Wahe Guru ji Ka Khalsa! Wahe Guru ji Ki Fateh! In October, this second annual yatra traveled to the Punjab to celebrate Guru Ram Das ji’s birthday. Chetna is a beautiful word that means “awaken”. This was a trip of seva and devotion to help awaken the love of Guru Ram Das in the sangat and in ourselves. 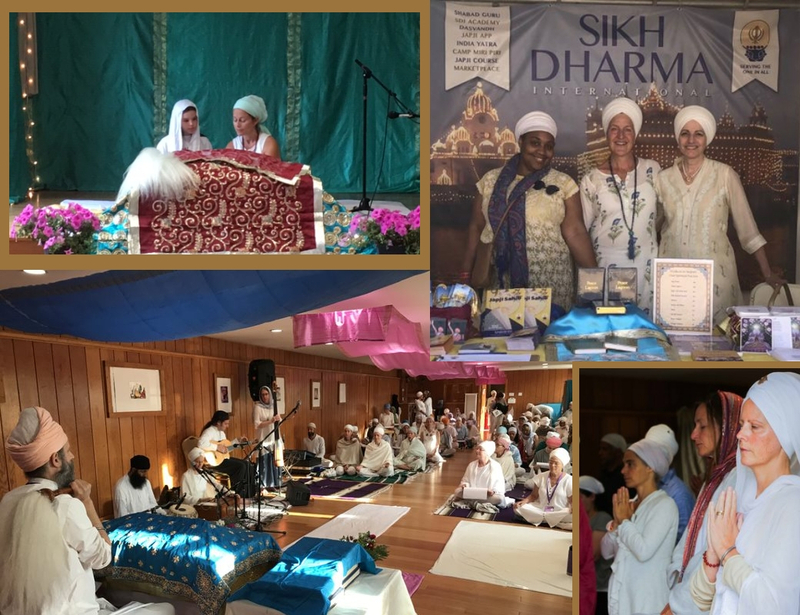 SDI helped support this inspirational event that serves over 15,000 souls and is coordinated by Sikh Dharma of Southern California and Guru Ram Das Ashram along with many other Gurdwaras in Los Angeles County. This FREE online course was offered in May and October of this year with over 3K registrants from the USA, UK, Cananda, India, Switzerland, Argentina, Australia, Brazil, Chile, Ecuador, Mexico, France, Germany, Israel, Netherlands, New Zealand, Russia, South Africa, Taiwan, and United Arab Emirates. Camp Miri Piri is a celebration and dedication to Guru Hargobind, the sixth Sikh Guru who started the warrior-saint tradition in Sikhism. He wore two swords calling them ‘Miri’ and ‘Piri’. These swords represented the balance between spiritual and worldly powers. This concept of the warrior-saint has permeated the Sikh philosophy and lifestyle ever since. The goal of Camp Miri Piri is to challenge participants to connect with their soul. 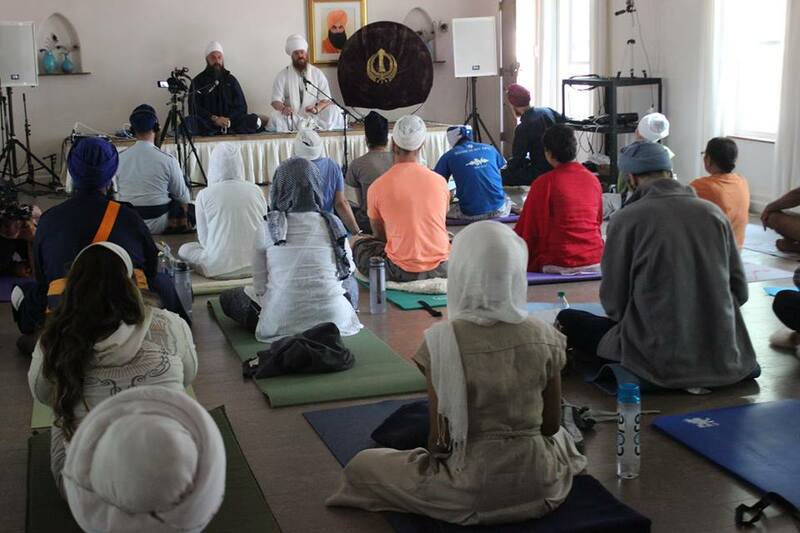 We recite morning Banis, do group Sadhana, engage in physical training, listen to Sikh stories, meditate, practice gatka and participate in discussion groups. For the 5th year, Sikh Dharma set up and hosted daily Gurdwara at Sat Nam Fest West and Sat Nam Fest East and offered opportunities for learning about Sikh Dharma including how to read from the Guru. At both events, students participated in a Sahej Paath, each taking a turn reading a section from the Siri Guru Granth Sahib. This year SDI used this Community Calendar and our regular e-newsletters to help promote numerous events being offered by our large global family. 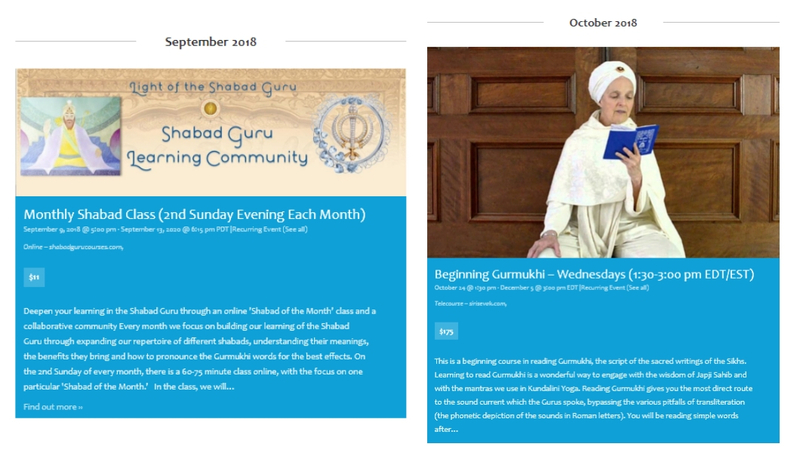 The SDI Community Calendar is meant to be a unified place where our legacy organizations and community leaders and ministers from around the world can list their Dharmic events for all to see and connect to. Find community courses and events from around the world. Click here to view the Community Calendar and contact us at [email protected] to find out about posting your upcoming events. 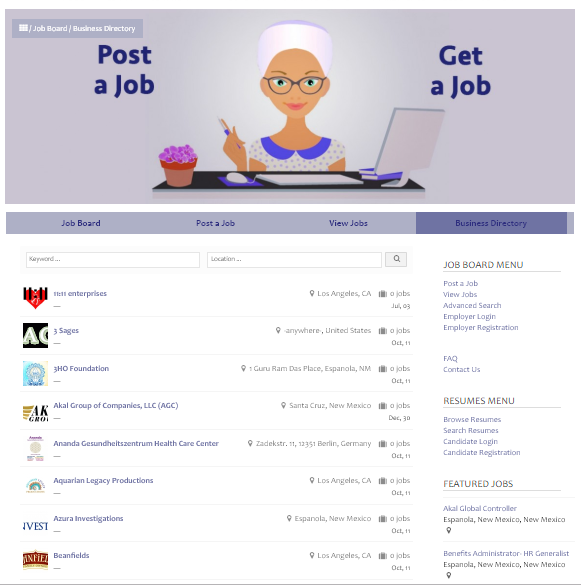 The goal of the Sikh Dharma Job Board is to connect people to jobs, internships and Seva opportunities in the Dharma. Employers include individuals with their own practices, small businesses, nonprofits and large companies. Their offerings include full-time, career-path positions, as well as internships, mentorships, exchanges and requests for pure Seva. Applicants range from recent Miri Piri Academy graduates to seasoned professionals. Click here to visit the Job Board. The International Khalsa Council serves as a leadership body for our Dharma, meeting twice a year to discuss issues of relevance to the present and future of our sangats. Click here to learn more about the International Khalsa Council and to access meeting reports. When the Siri Singh Sahib, Yogi Bhajan was born, his family was so grateful that they gave the entire village gifts. From then on gifts of food and clothing were given to the community each year on his birthday. Keeping with the tradition and to honor Guru Ram Das, the Siri Singh Sahib would sponsor langar, give sweets and offer new rumallas to the Siri Guru Granth Sahib at the Golden Temple in Amritsar, India. Honoring this legacy, as his students, we have continued this birthday tradition of making an offering of new rumallas, expertly crafted by the renowned Surinder Singh, to the Siri Guru Granth Sahib at the Golden Temple each year. Our students at Miri Piri Academy who live near the Golden Temple, are present to make this offering on our behalf. Since 2003, Sikh Dharma International has sponsored a weekly Akhand Path in Anandpur Sahib, India as a continuous blessing for our global sangat. 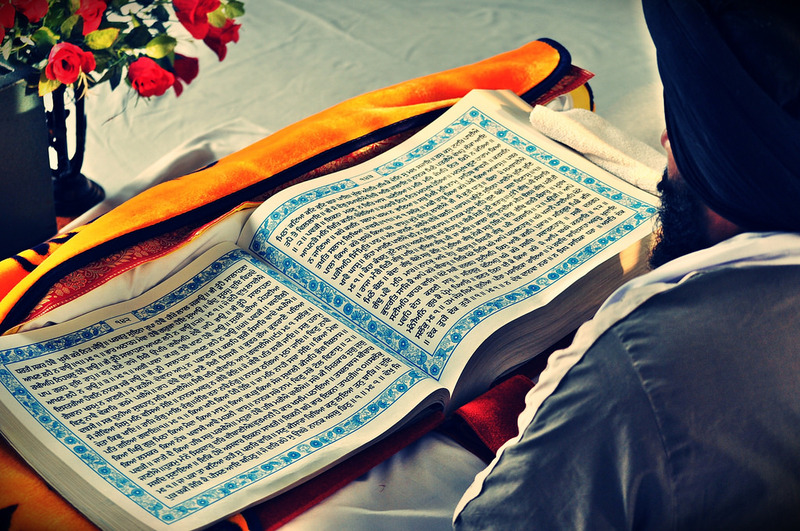 This unbroken prayer, recited in the home of the Khalsa, Takhat Sri Kesgarh Sahib, is dedicated every week to the benefit and chardi kala of our global Khalsa family, and is an opportunity for individuals to add their specific prayers and dedications. Click here to sponsor a weekly Akhand Path in Anandpur Sahib and offer your personal dedication or prayers. SDl also offers many online resources on different avenues of prayer including information on Akhand Paths and much more. Click here to access this section of our website. Thank you to every single one of our donors for making all of this possible! Donations to Dasvandh help support all the work of SDI, while also activating the law of the vacuum and unlocking personal prosperity and success. It is truly because of donors like you that we are able to serve and connect. Thank you for your continued support and year-end donations!